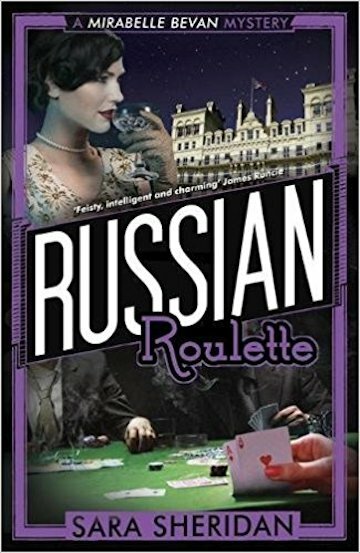 When Mirabelle’s on-off boyfriend, Superintendent Alan McGregor, is taken off a gruesome murder case because the key suspect is an old school friend, Mirabelle steps in to unravel the tangle of poisoned gin, call girls and high stakes gambling that surrounds the death. It isn’t long before McGregor’s integrity is called into question and Mirabelle finds herself doubting him. So when a wartime hero’s body turns up on the Sussex Downs, she is glad that McGregor is caught up in a mystery of his own as Brighton’s establishment closes ranks. Mirabelle is in a dangerous situation though and she doesn’t have McGregor watching her back on this one. And when the dead man on the Downs turns out to have been a member of a deadly thrillseekers club, related to the earlier murder, Mirabelle is determined to uncover the truth and free the innocent people who are bearing the brunt of the cover up. As her relationship with McGregor reaches breaking point, she has to draw on all her wartime experience to stand up for what she believes in – even if it means their relationship may not survive.